At Celebrate Entertainment we really love weddings, it’s what we do! Dedicated to professionalism, Celebrate Entertainment has over 30 years combined experience throughout their highly experienced team. Specialising particularly in DJ Hire, our services additionally include sound and AV Hire, Wedding Chair Hire, Photo booth Hire, Wedding Invitation Design, Dry Ice Machine Hire, Bridal Arch Hire, Giant Letter Hire as well as Wedding Photography and Videography. Too often have we heard the horror stories that come alongside wedding entertainment services. Celebrate Entertainment was established to rectify these stories, providing an all-inclusive entertainment option to assist people getting married to the best of our industries ability. With emphasis on professionalism, we guarantee the utmost care and dedication is taken to ensure everything is run flawlessly to entertain at your wedding event. From our first face to face consultation, you’ll see that every Celebrate Entertainment staff member will go to any length to make your day the most memorable it can be. We strive to deliver you the dream wedding, and nothing is out of our reach. We Are Sydney’s Number One Wedding DJ Hire Company! We bring passion and professionalism together, under the one banner, to ensure that your musical requirements are catered for 100%. We are dedicated to providing exemplary service across the board. Our services have grown because we have come to know from experience that we do it better. We have arranged our wedding entertainment services to complement one another for the benefit of our clients. We offer an all-inclusive total package for those seeking the highest quality wedding entertainment in Sydney. We guarantee a flawless entertainment experience for you and your guests at your wedding event. Producing the wedding you have dreamt of, all your life, is what we are about. We are your wedding planners par excellence. We are based in the Sydney CBD. We are able to plan and produce weddings in all areas of Sydney, including: Sydney’s South-West, the Hunter Region, Central Coast, and Mid-North Coast. Focusing on complete entertainment solutions for our clients, our team takes a fun and professional approach to ensure your wedding is stress free and runs smoothly. Offering customisable services and complete solutions, we specialise in working alongside our clients to bring to life their wedding dreams. Our entire team derives a great deal of satisfaction from their work, planning and producing successful weddings. We enjoy what we do, being a part of one of the most important days of our client’s lives. Right from the first meeting, where visions are shared, to the heart warming climax of the marriage vows, kiss, and first dance, we stake our commitment and expertise to your mast. We offer an adaptable service designed to meet a diverse range of requirements. Our diligence in the management and planning of your wedding ensures that we deliver an impeccable and truly memorable event. We all know that weddings are, often, the most important day in many peoples’ lives. They stand out like a beacon of beauty, grace, and shared love. We invite you to let us create a once in a lifetime wedding spectacular. 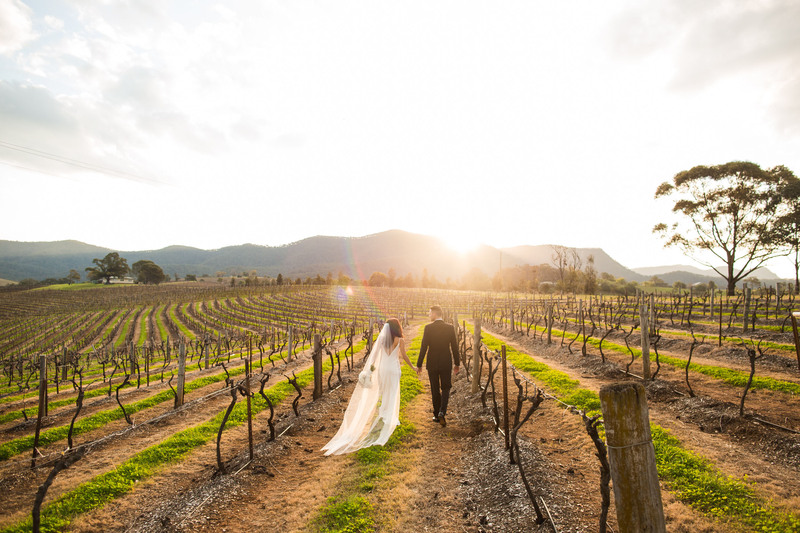 Our history of successful weddings and events in Sydney and Melbourne, enables us to confidently predict the success of your coming nuptials, with our assistance. We offer a professional and unique wedding planning and entertainment service, which will exceed your expectations. We produce your perfect day, and the only hitch, will be you getting married in style. Let us take care of all your entertainment requirements from start to finish. We take the worry out of the process and replace it with attention to detail and our exemplary service. There are so many Wedding DJ Hire Companies out there what makes you different? Each DJ has respectable experience overall and in their specialist fields – we only work with the best. The diversity in our team ensures that you are getting the best DJ for your function. Our team of DJs specialise in a variety of music genres including Top 40/Commercial, Rnb, House, Retro, 70s, 80s, 90s and more. You may also create your own customised playlist with your requests to ensure you get the best celebration imaginable. Our experienced DJs can read crowds which ensures only the best music is played alongside your requests. Our DJs are experienced professionals and come to your function with all of the essentials. The equipment we provide is state of the art and consistent with industry standards – similar to what is used at nightclubs and concerts! This includes a DJ console, speakers, lights and a cordless microphone. Our packages make DJ hire in Sydney and surrounding areas simple. Our pricing structure is simple for your convenience. Our hourly rate is fixed and does not vary. This means you know what to expect before your booking. A lot of time goes into the planning of your function or party. Let us deal with the entertainment; you will have one less thing to worry about. When you contact us, all you need to do is fill out a form and you’re ready to go – it’s that simple! Taking the stress out of wedding organisation, our entertainment packages are catered to each individual client to provide the ultimate solution. We love weddings, and it’s what we do best. More than just providing entertainment solutions, Celebrate Entertainment is here to create memories. Book your first face to face consultation today and find out how exactly we can enhance your special day. From the first consultation the experience and level of professionalism was so apparent. We were so impressed with the Entertainment Celebrate provided that we have used them 3 times since our wedding and recommended to all of our friends. Our DJ was brilliant. We had an absolute blast, his efforts made it a seamless experience for both us and our friends and family. The Photo Booth was modern and extremely easy to use. The Photo Booth attendant was so easy to work with and made the experience so much better with his funny personality. We work with a range of clients and just a small handful are below.